Located in the North of Africa, this spectacular Mediterranean and desert region is filled with hidden beauties, remnants from the past, and rich architecture. Libya has two distinct terrains, and a population of more than 6.2 million residents. Popular attractions include The Arch of Marcus Aurelius in Tripoli, Leptis Magna in Al Khums, and Jebel Akhdar in Benghazi. Cheap flights to Libya are now available for a limited period of time, so prepare for an unforgettable trip to this desert paradise. Libya’s capital city, Tripoli, is home to Tripoli International Airport (TIP), which is a 30-minute drive from Tripoli’s city centre. Tripoli International Airport serves a multitude of airlines, including Libyan Airlines and Royal Jordanian. Popular connecting flights to Tripoli depart from Johannesburg and Cape Town. The duration of the flight is approximately 18 hours and 15 minutes. 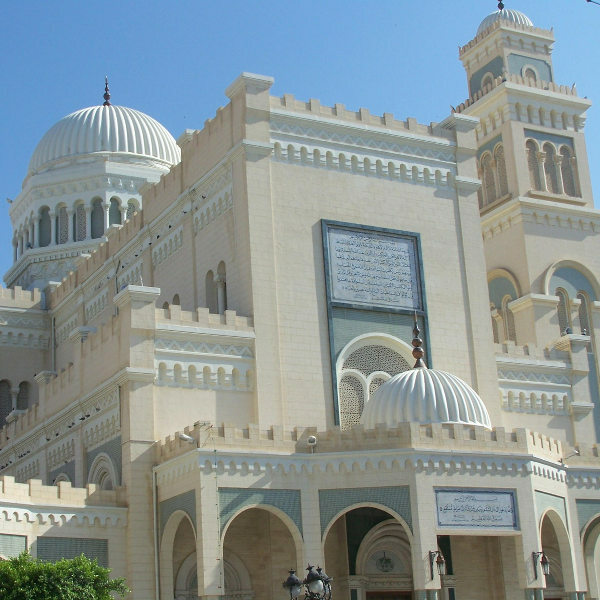 The Atiq Mosque, in the city of Ajdabiya, is easily recongnised by its 21 white domes. It is an architectural thing of beauty, a 12th century masterpiece that dates back to the classical times. 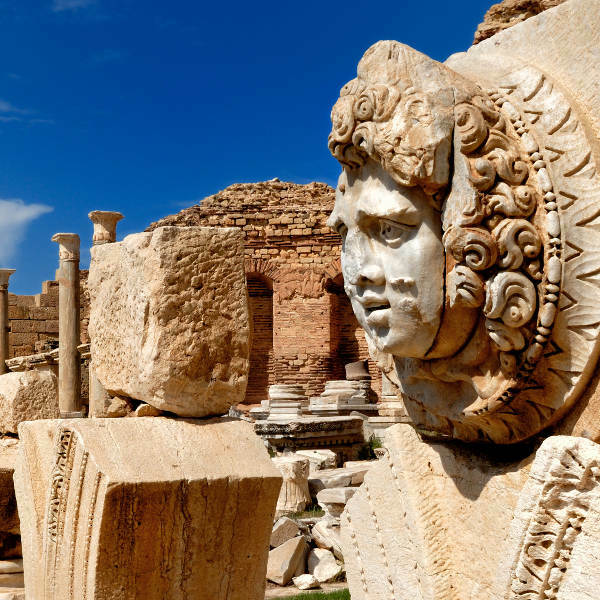 Founded in the 7th century BC, the ancient city of Leptis Magna was the pride of the Roman Empire in Africa. It mysteries can still be marvelled at when visiting this UNESCO World Heritage Site. Stretching from the east to the west of the country’s coast, and touching the soothing waters of the Mediterranean Sea, the beaches of Libya are pure beauty. Zuwarah and Neqezzah are must-visits. Libya experiences two distinctive climates: one on the coast of the country and the other in the desert regions. Along the Mediterranean coast is where you will find perfect summery conditions during the warm months between June and October. 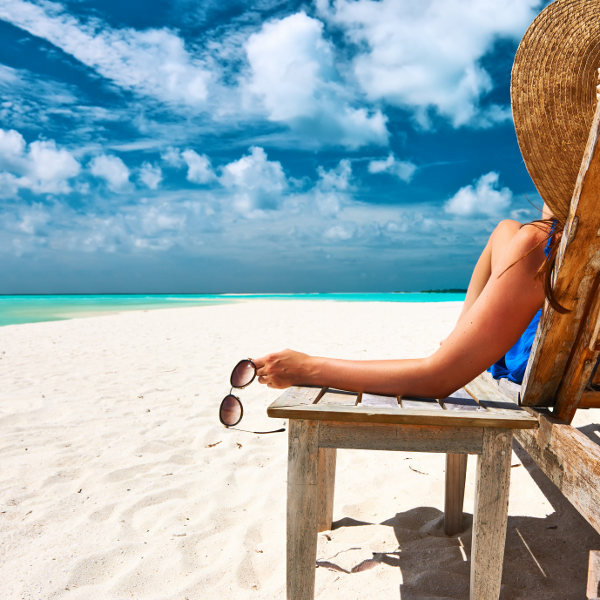 Relaxing, cool sea breezes are set off against temperatures that average around 27°C. If that is not warm enough for you, then in the month of April, you will find a hot wind known as Ghibli. This wind has been known to bring soaring temperatures that can often hit the 40°C mark! The desert regions of Libya are known to be some of the most extreme in the world, and it is not uncommon for temperatures to reach 50°C during the day and 0°C in the evenings. These regions should be explored with a guide, and plenty of fresh water on hand. Libya may have a rocky recent past and an unknown future, but nothing can take away from the absolute beauty and character that this country has to offer. It is one of the largest countries in the world, and has been inhabited by the ancient tribes of the Berbers since the Bronze Age. Through the ages, this majestic country was ruled by various entities, including the Greeks, Egyptians and Romans. With all of this rich history, the amount of culture and customs found on the streets of Libya is surely something to behold! Libya has two prominent cities: the capital city of Tripoli and the port city of Benghazi. Both of these cities have wonderful attractions, such as the Bushileef and Ah-Ruh-Aid beaches in Benghazi. Also see the archaeological sites that can be found around Tripoli, such as the Arch of Marcus Aurelius. A trip to the markets of Tripoli Medina is also a must. An oasis Berber town, Ghadames, in the middle of the Sahara Desert is the perfect escape and known as ‘the pearl of the desert’. The white walls are perfect for keeping the harsh afternoon sun rays at bay while you sip on some mint tea and enjoy the vast views of the endless desert. Compare several airlines, and book your cheap flights to Libya online with Travelstart! South Africans who wish to visit Libya will need a visa to do so. To qualify for your visa, please ensure that you have a passport valid for at least six months from the date of departure and two blank pages for stamps. You will also need two passport-sized photos, proof of flight tickets and various other documents. The Embassy of Libya is situated in Pretoria. Libya is considered to be in a fragile and somewhat volatile situation since 2011, so travel to this country is not recommended until further notice, unless deemed necessary. If you do need to travel here, please make sure to keep updated on current events and to watch the news for areas to avoid. That said, the government of Libya is working hard to improve the current conditions, and encourages travel to this beautiful destination. It is always important to go for a general health check-up before a trip. It is best to do this 4-6 weeks before your trip. For your trip to Libya, it is strongly recommended to get the following vaccinations: hepatitis A and typhoid. Other vaccinations to consider getting are hepatitis B and rabies. Proof of a yellow fever certificate is needed if you are travelling from a country at risk of this disease.